Certain questions need answers now. 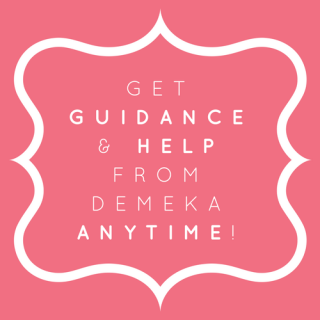 With Unlimited Weekly Messaging you can message Demeka exactly when you feel like it. Get questions answered today for as little as $55/week. With one on one guidance you can speak with Demeka directly, when she is available. Get questions answered today for as little as $125/per call.